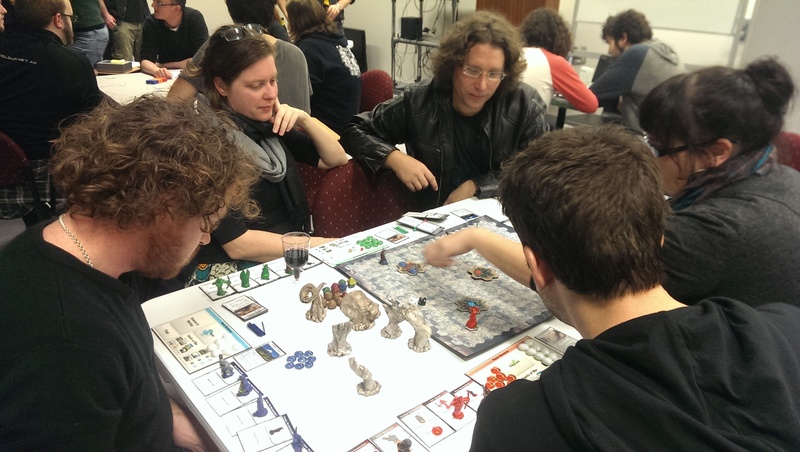 Colossus Awakes is a strategy game played on a 20×20 hex board with miniatures and card drafting. The premise is that the Colossi are the first race on an alien planet that bury themselves for millenia, and as they hibernate they leak mana into the earth, which accelerates evolution across the planet. 2-4 players control adventurers and minions in a struggle to influence a Colossus awakening beneath the earth. Each player’s goal may be to free, destroy, subdue or survive the Colossus as it destroys all in its path. 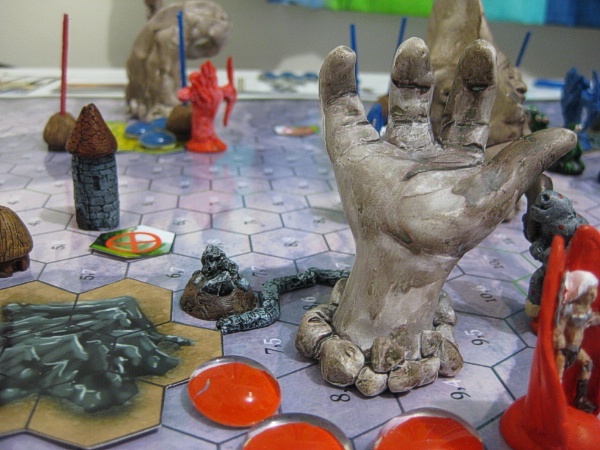 The game involves a mix of rapid resource building, card drafting and skirmishes amongst and against the pieces of the Colossus as they rise up from the board.